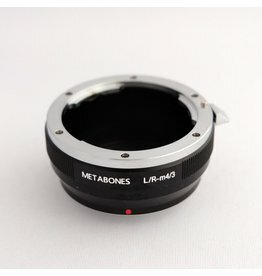 Metabones Leica M to Micro Four Thirds adapter in excellent condition, with minor mount wear. 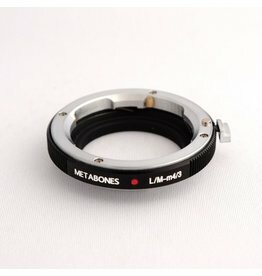 Metabones Leica M to Micro Four Thirds adapter. This adapter mounts Arriflex cine lenses to a Micro Four Thirds camera. Note that this is not a PL mount adapter: it's for the older Arriflex lenses. 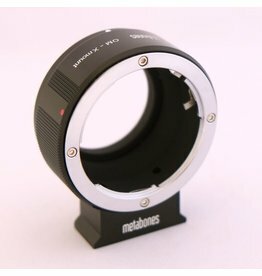 Metabones Arriflex-Micro Four Thirds adapter. 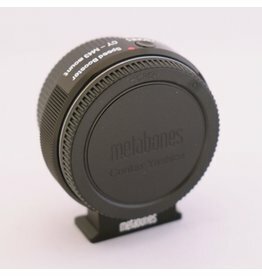 This adapter allows you to use Contax/Yashica CY-mount lenses on Micro Four Thirds cameras. 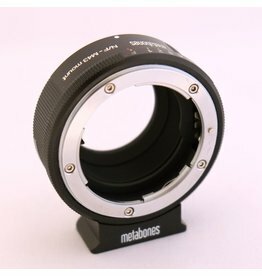 Metabones Contax/Yashica-Micro Four Thirds Speed Booster adapter. 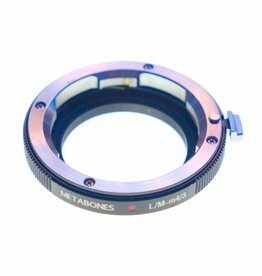 This adapter allows you to use Leica R-mount lenses on Micro Four Thirds cameras. This adapter allows you to use Leica M-mount lenses on Micro Four Thirds cameras. 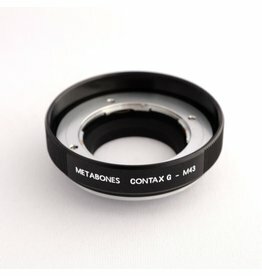 This adapter allows you to use Contax G-mount lenses on Micro Four Thirds cameras. It features a large, easy-to-turn focusing ring. This adapter allows you to use Leica R-mount lenses on Sony E-mount cameras. This adapter allows you to use Nikon F or G-mount lenses on Micro Four Thirds cameras. 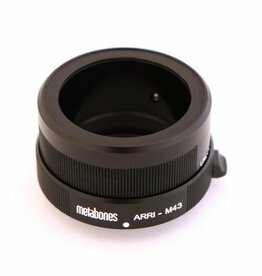 Suitable for lenses with or without aperture rings. 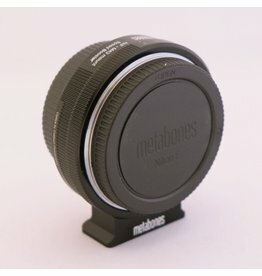 Metabones Nikon G-Micro Four Thirds Speed Booster adapter. This adapter allows you to use Olympus OM-mount lenses on Fuji X-mount cameras. 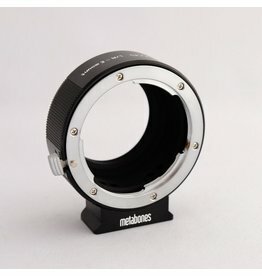 Metabones Olympus OM-Fuji X mount adapter.